Several years ago, Cara Barnes of Hollyhock Farms in Aspen, faced an important challenge: Both her husband and father suffered from serious cardiac issues and had been urged to switch to a whole-food plant-based diet. However, in their small Colorado mountain town, getting fresh, organic vegetables was not easy during most of the year. After doing their research, they felt that making the switch to a plant-based diet would be a great thing for the entire family. They were right – In just a few short months, her father went from near death to hiking and thriving in Aspen. Cara’s husband, whose condition was less severe than her father’s, has also experienced positive benefits of their newfound lifestyle. He already ate a low fat, healthy diet and exercised regularly. But he was a ‘plaque producer’ and suffered a heart attack at age 42. Eating a whole-food plant-based diet reversed his heart disease. Eating Mostly Vegetables Is Now Easy and Tasty! A whole-food plant-based diet is based on fruits, vegetables, whole grains and other nutrient dense healthy food. But organic vegetables can be hard to come by living in a small Colorado town. The local health food stores carry organic produce… sometimes. Usually, the vegetables they do put on the shelves have been shipped from afar, and their freshness, taste, and nutrition compromised. The growing season is also short and gardening conditions extreme. It’s hard to eat mostly vegetables when the available resources lack vitality and nutrition. 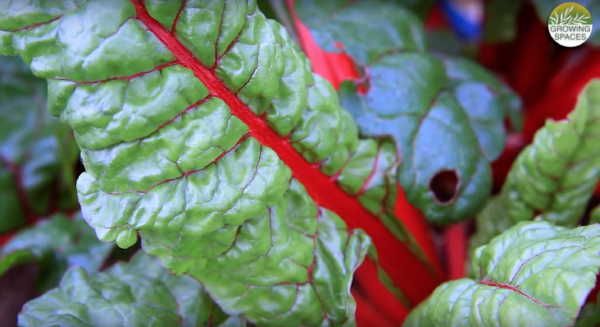 Cara’s husband liked the idea of growing their own produce to enhance flavor and nutrition. So Hollyhock Farms found their way into year-round gardening in a Growing Spaces® Growing Dome greenhouse. He has also come to treasure the indoor sanctuary of their Growing Dome. It’s a place where they can go, even in the middle of winter, to relax, read a book, or work on a project. Given their circumstances, it seemed like growing their own produce would be better than relying on the grocery store. But, they live in the mountains. The growing season is short and gardening conditions extreme. Without confidence in the commercial food system, and lacking the ability to grow enough outside, something different had to be done. Their very lives depended on fresh healthy produce. 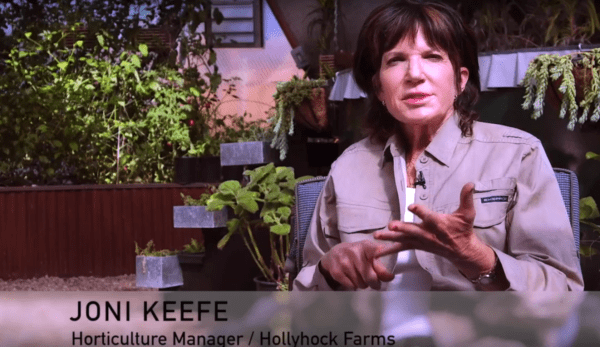 Joni Keefe, Horticulture Manager at Hollyhock Farms, also knows the benefits of growing your own food year-round. Organic food is shipped from all over the world, at all different levels of quality. Even storing food in your refrigerator, food will lose some of its nutritional value. There is nothing like having fresh food, off the vine, right outside your door anytime you want it. 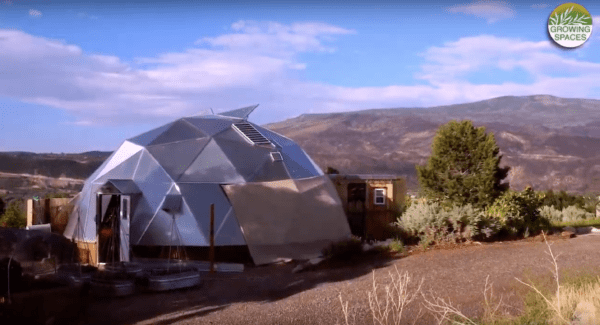 Hollyhock Farms also hosts dinner parties and social functions in their Growing Dome. 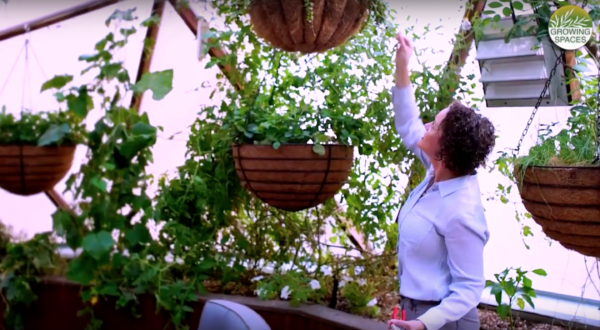 They will cut fresh ingredients for a salad or hors d’oeuvre, and have it right in their Grow Dome. The atmosphere of the Growing Dome creates a noticeable ambiance of… happiness. 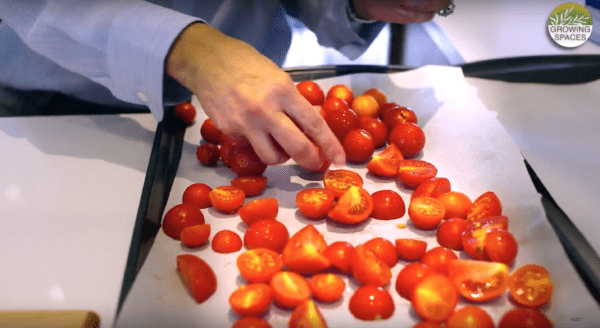 It creates a unique type of farm-to-table experience for the whole community. Everyone seems more relaxed. There’s more laughter and togetherness. Switching to a whole-food plant-based diet has changed Cara’s family for the better. Today, both her husband and father are happy, healthy, and active. Furthermore, they’ve taken control of their food source. 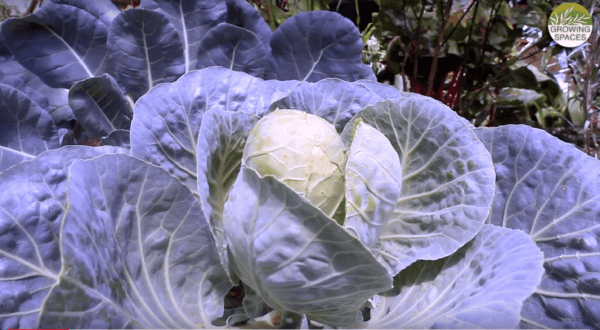 Growing their own produce in their Grow Dome has been important not only from a health perspective, it has also provided many added benefits, such as connecting to nature, bonding with friends and community, and… laughter. Cheers to health, good food, and genuine happiness. Nicely done Hollyhock Farms! To discover more about taking control of your food, and growing your own year round garden in a Growing Dome, here is a free gift to you. Cara…Those get togethers with your friends in your dome look like a lot of fun. What size is your dome and what is that little addition on the rear? Is that attached or just next to the dome? Growing year round is so beneficial, not only spiritually but nutritionally. Even when buying organic in the supermarkets, you miss out on the peak value of the foods. There is nothing like eating the freshest vegetables and fruits when you grow your own year round. Thanks for sharing your experience. 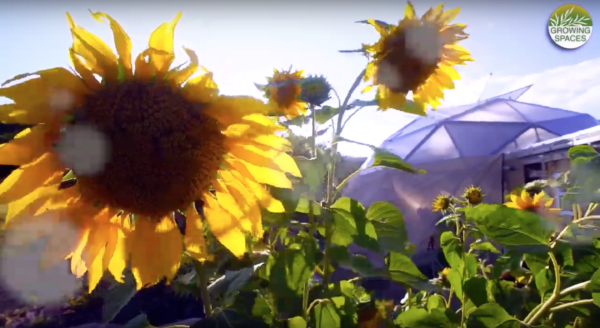 Hey Jim, the Hollyhock Farm dome is a 42′ Growing Dome. The addition is a custom garden shed that they built. Thanks for the questions and thank you for being a part of our community! Thanks for the reply, Jason! I really like reading the Blog entries you post. Some great projects. I dream of owning my own Growing Dome and am saving up for one.